ILMEA S.r.l. was founded in 1975 by transforming an individual firm, founded in 1965 by Rag. 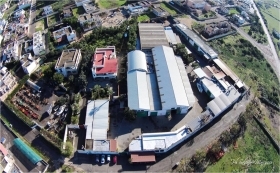 Pisanò Quintino, as a mechanical workshop for the construction of machinery for the extraction of tuff esportavain around the world in Libya. The specialization in products for the transmission of motion, brought, soon, in the same patent hydraulic winches for fishing in order to hoist the nets on boats while fishing at great depths. It was one of the first to propose the use of stainless steel instead of carbon steel, achieving a high level of specialization and technological innovation, leading the small local company to export, with particular success in the whole Mediterranean basin. Early in the 70s begin the work under contract for companies of the Fiat Group. Over the years, thanks to a careful program of investment in personnel and equipment, the company gradually abandoned the small size to take on the characteristics of a dynamic industry ready to respond to market expectations. • Has dynamism of initiatives, it is logistically structured, it is flexible, it is reliable. With it you can delegate tasks "no core". lLMEA in its most quarentennale experience that has become a qualified reference for its customers, to the point of having given an important impetus to the partnership, through the co-design and supply not only special, but especially of groups painted, assembled, tested and assembled. In order to get to the realization of an optimal level of service, in view of customer satisfaction, but especially for the maintenance of the same, ILMEA invest heavily in the area of quality, both of control of that process. It has tools and equipment specifications for quality control and for the control of the finished pieces, but mainly invests in training courses with a view to continuous improvement, both for personnel dedicated Quality and Personnel dedicated to the production. The company ILMEA S.r.l. is one of the leading companies, both nationally and internationally, for the production and marketing of hydraulic winches and Timorerie and for the realization of light carpentry and medium-heavy construction equipment terra.Inizia its activity in 1965 in an area of ancient maritime tradition, where the higher the concentration of fishing businesses and is a sure point of reference for the high professionalism in the industry. Constructs Steering and winch for fishing. In particular, hydraulic winch, Salparete, Salpapalamiti, Salpatramagli, Salpasciabica, and ciancialo trawl winch, windlass with or without gypsy, Power Block, fuel tanks (all stainless steel). Manufactures special metal structural work of small and medium-sized drawings, oil tanks and fuel tanks, enclosures mounted in assembly kit for body earth moving machines for third account.